Ethics are broadly the set of rules, written and unwritten, that govern our expectations of our own and others’ behaviour. Effectively, they set out how we expect others to behave, and why. While there is broad agreement on some ethical values (for example, that murder is bad), there is also wide variation on how exactly these values should be interpreted in practice. Research ethics are the set of ethics that govern how scientific and other research is performed at research institutions such as universities, and how it is disseminated. This page explains more about research ethics, and how you can ensure that your research is compliant. When most people think of research ethics, they think about issues that arise when research involves human or animal subjects. While these issues are indeed a key part of research ethics, there are also wider issues about standards of conduct. These include the importance of publishing findings in a transparent way, not plagiarising others’ work, and not falsifying work. Research ethics are important for a number of reasons. They promote the aims of research, such as expanding knowledge. They support the values required for collaborative work, such as mutual respect and fairness. This is essential because scientific research depends on collaboration between researchers and groups. They mean that researchers can be held accountable for their actions. Many researchers are supported by public money, and regulations on conflicts of interest, misconduct, and research involving humans or animals are necessary to ensure that money is spent appropriately. They ensure that the public can trust research. For people to support and fund research, they have to be confident in it. They support important social and moral values, such as the principle of doing no harm to others. Source: Resnick, D. B. (2015) What is Ethics in Research and Why is it Important? Government agencies who fund or commission research often publish codes of conduct for researchers, or codes of ethics. For example, the US National Institutes of Health (NIH) and Food and Drug Administration (FDA) both publish ethical codes. Some ethical codes may have the force of law behind them, while others may simply be advisable. Be aware that even if you do nothing illegal, doing something unethical may end your research career. This means that you need to report your research honestly, and that this applies to your methods (what you did), your data, your results, and whether you have previously published any of it. You should not make up any data, including extrapolating unreasonably from some of your results, or do anything which could be construed as trying to mislead anyone. It is better to undersell than over-exaggerate your findings. When working with others, you should always keep to any agreements, and act sincerely. You should aim to avoid bias in any aspect of your research, including design, data analysis, interpretation, and peer review. For example, you should never recommend as a peer reviewer someone you know, or who you have worked with, and you should try to ensure that no groups are inadvertently excluded from your research. This also means that you need to disclose any personal or financial interests that may affect your research. Take care in carrying out your research to avoid careless mistakes. You should also review your work carefully and critically to ensure that your results are credible. It is also important to keep full records of your research. If you are asked to act as a peer reviewer, you should take the time to do the job effectively and fully. You should always be prepared to share your data and results, along with any new tools that you have developed, when you publish your findings, as this helps to further knowledge and advance science. You should also be open to criticism and new ideas. You should never plagiarise, or copy, other people’s work and try to pass it off as your own. You should always ask for permission before using other people’s tools or methods, unpublished data or results. Not doing so is plagiarism. Obviously, you need to respect copyrights and patents, together with other forms of intellectual property, and always acknowledge contributions to your research. If in doubt, acknowledge, to avoid any risk of plagiarism. You should respect anything that has been provided in confidence. You should also follow guidelines on protection of sensitive information such as patient records. You should publish to advance to state of research and knowledge, and not just to advance your career. This means, in essence, that you should not publish anything that is not new, or that duplicates someone else’s work. You should always be aware of laws and regulations that govern your work, and be sure that you conform to them. If you are using animals in your research, you should always be sure that your experiments are both necessary and well-designed. You should also show respect for the animals you are using, and make sure that they are properly cared for. If your research involves people, you should make sure that you reduce any possible harm to the minimum, and maximise the benefits both to participants and other people. This means, for example, that you should not expose people to more tests than are strictly necessary to fulfil your research aims. You should always respect human rights, including the right to privacy and autonomy. You may need to take particular care with vulnerable groups, which include, but are not limited to, children, older people, and those with learning difficulties. Source: Resnick, D. B. (2015) What is Ethics in Research and Why is it Important? List adapted from Shamoo A and Resnik D. 2015. Responsible Conduct of Research, 3rd ed. (New York: Oxford University Press). Most universities have an ethics committee. This is required to scrutinise all research proposals, to ensure that they do not raise any ethical issues. 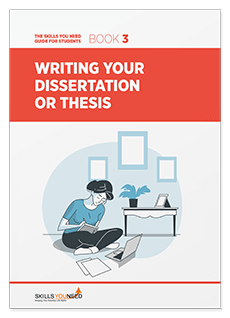 This will generally include research for master’s and undergraduate degrees, although undergraduate research may be covered by a broader research proposal from your supervisor. There is likely to be a standard form to complete for ethical approval, which will cover who will be involved, how you will recruit your participants, and what steps you will take to ensure that they have provided informed consent. There is an example form on our page Writing a Research Proposal, which also contains more detail about how to go about preparing a proposal. The ethics committee’s role is to consider that what you are doing is appropriate and proportionate to your research aims. If a research proposal raises ethical issues, the committee will ask the researcher to look again at the issue, and consider whether they could do it differently. For example, if you are proposing to carry out a study on a particular disease, and you want to ask all your participants whether they are married and have any children, the committee may want to know why this is relevant. It may be relevant (for example, if you think the disease may be reduced by living in a family), in which case, you will need to justify this. The committee may also suggest alternative methods that they think are more suitable for the target group, or additional precautions that you should take. You cannot start your research until you have been granted ethical approval, which will be granted formally, together with an approval number. When you publish your research, whether as a thesis or in one or more journal articles, you will need to provide details of the ethical approval, including this number. …and think you may have an ethical dilemma, then you should always seek advice before you act. If you are a student, your supervisor should be happy to help and advise you. If necessary, they will be able to advise you about who else to ask. As a researcher, you should consult more senior colleagues around, either at your own institution or others, who should be happy to help you. After all, it is in everyone’s interests to promote research ethics, and support the integrity and reputation of research.